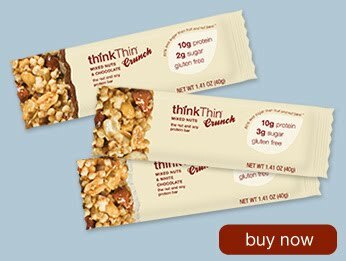 Just thought I would give you readers a heads up -- ThinkProducts is coming out with a new protein bar called ThinkCrunch. It will be available beginning tomorrow, June 1st and is gluten free. Check out more information here. Check out my previous post on ThinkThin bars here, my post on ThinkThin Bites here, and another post on ThinkThin dessert bars here. Gluten Allergy Shout Out on "SNL"